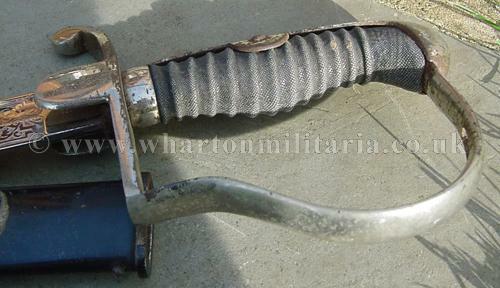 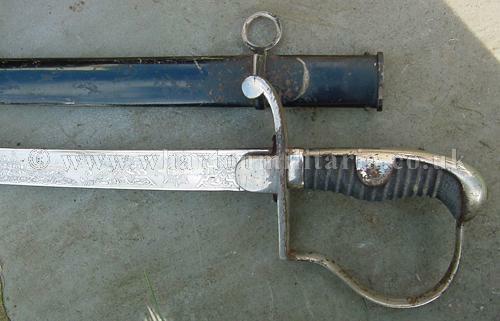 An early Imperial German Guards Artillery Officers sword by WKC (Weyersberg-Kirschbaum and Co.) in very good condition. 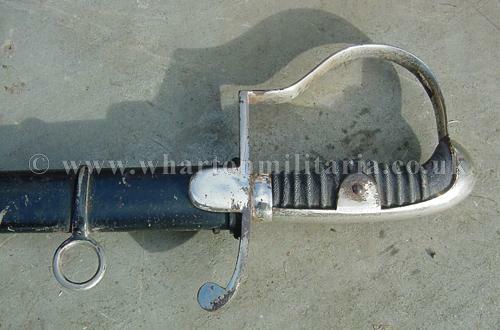 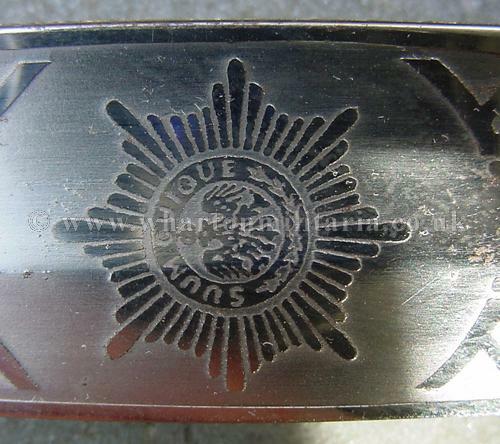 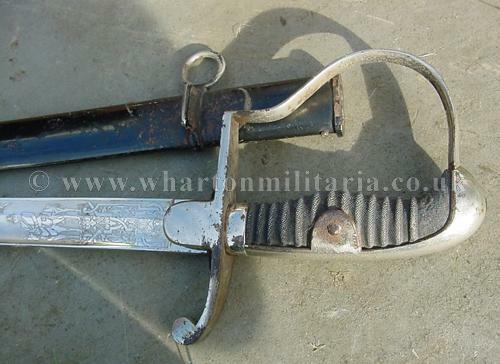 A sought after Officers sword, WKC stamped maker mark which puts manufacture between 1883 and about 1900. 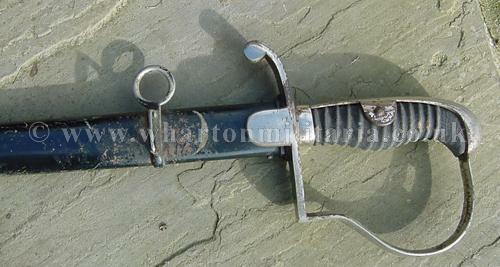 All parts and fittings on the hilt, crossguard and scabbard are in very good condition with some loss of finish showing through in places. 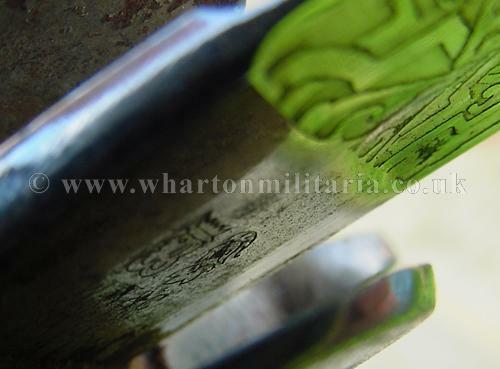 Grip wrapping showing minimal wear. 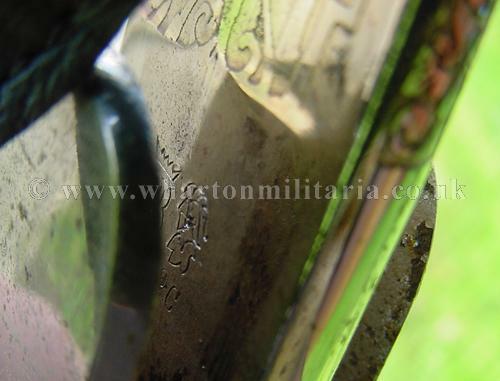 Blade is in beautiful overall condition with minimal of marks, pitting or signs of wear. 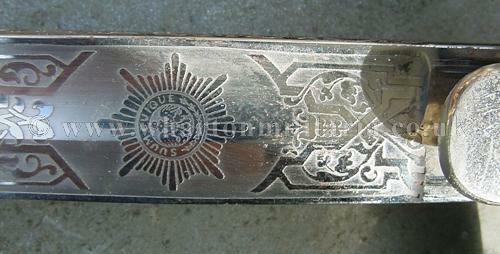 Pipe-backed with the spine being decorated in leaf design. 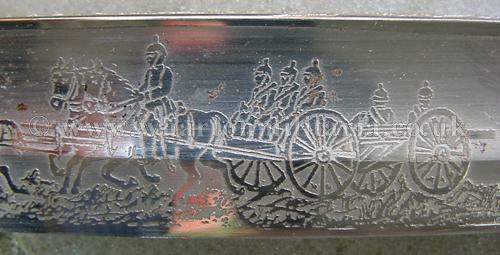 Blade has the badge of the guards at the start of the blade design followed by the field artillery scene of the horse drawn gun and limber concluded by two horses, the reverse has the mounted officer and the regimental identity '3 Garde Feld Artillerie Regiment' and concluded by crossed cannons. 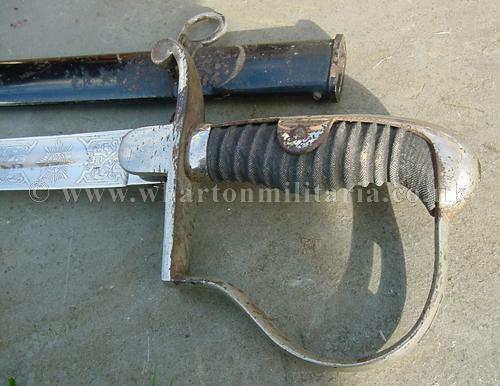 Blade length is just short of 33 inches. 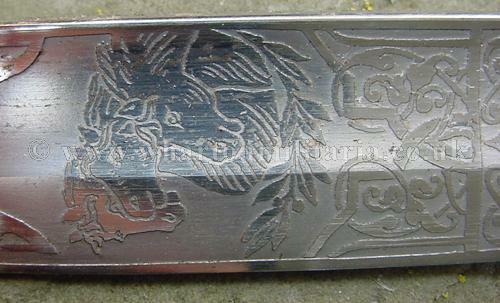 Scabbard is in good sound condition, no dents or dings though has the usual loss of black finish. 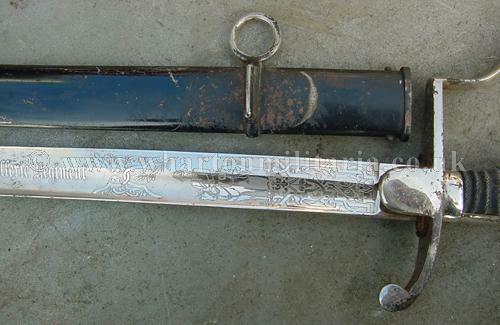 Scabbard length is 34 inches. 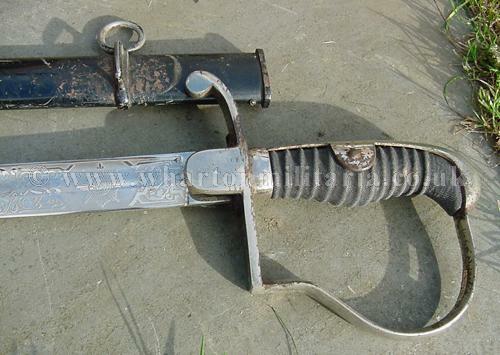 A fine sought after guards sword.